Tenet. We work in partnership with our global sisters to create generative solutions. Tenet 11. We work in partnership with our global sisters to create generative solutions. Our collective global sisterhood works together to shine our light even in the darkest of places. 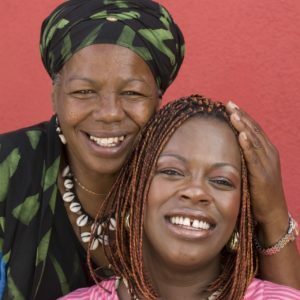 So very many of us are women of faith and spirituality, women tethered to our ancestors and families, and women empowered by our identities as mothers and nurturers. Although we each experience these parts of ourselves uniquely day to day, we are bound to one another because they are the shared experiences of us all. We are more powerful together than apart. Picture a dark night sky dotted with twinkling stars. Each star is spaced in a specific location within the cosmos. As stars cluster together, images are created for the onlooker. These constellations form a web of light that directed ancient travelers for thousands of years. As a global sisterhood, we are like these billions of stars that shed light amidst the darkness. We are the vast network of women who can guide our human family back home. Our unified efforts are essential. Just as one star in darkness is dim and hard to find, so too are our efforts if they are alone and without community. We need each other to make great heavenly patterns visible to the rest of our global family. Like stars in the night sky, individual women and families can bring about good. Yet the act of coming together shines our light in a more powerful and focused way. As we gather and form organized groups of learning and service, what we call “cottages,” we begin the process of creating small constellations of light that further dispel the darkness. When we combine our efforts and work side by side to strengthen and expand our cottage communities, not only will our individual efforts and skills become magnified, but we will gain greater confidence and capacity to learn, lead and serve together. As we do so, our light-filled network of love and service will continue to spread as more and more organized cottage groups begin to emerge in many different parts of the world. When cottages begin to saturate certain regions of the world, and we work together in this interconnected global cottage system, we will be able to access an even greater system of positive problem solving. As each cottage shines and serves within its respective area, there is a special connection made between cottages; we begin creating something beautiful. The sole purpose of these efforts is alleviating pain and suffering for future generations. When we work together to illuminate a better path for the rising generation who are looking to us for guidance, we are, in fact, changing their futures, as well as our own. The time is now for us to unify as a global sisterhood. 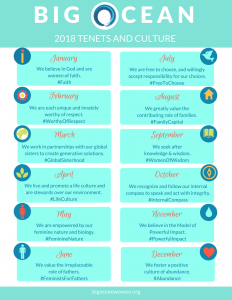 The world has need of our light, and as women, we are especially set apart to gather and work harmoniously together in ways that will bring about much goodness and light. In what ways have you worked alongside other women in your community? How have these friendships helped you learn and grow? What have you learned from women from different global backgrounds or cultural traditions? Why do you think women are typically gatherers and community builders? What women in your community are currently serving and leading in positive ways? What are their qualities and characteristics? How can you develop compassionate service and leadership today? In what ways can your cottage connect and serve with other global cottages in the future?